Lynn McGoldrick, a native to New Jersey with her mum, Maura Reilly from Surgview, Blacksod County Mayo and her Dad, Laurence was from Pomeroy County Tyrone. Both parents immigrated to the US in the 1960’s where they met and got married in April 1969 in NY. In 1977, the family returned to Ellybay, Belmullet County Mayo where her parents raised Lynn and her three siblings in the family pub; “Currach Lounge”. 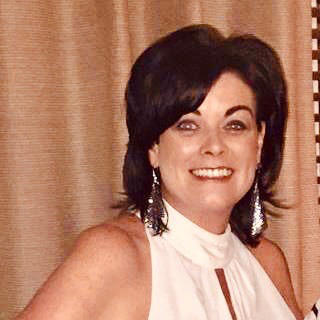 After graduating from High School in 1992, Lynn returned to the New York metropolitan area, where she worked in the hospitality industry and joined many fundraising groups including the 1998 cystic fibrosis for New Jersey, the Erris immigrant group raising funds to purchase an x-ray machine for Belmullet hospital, IASE Ireland which supports employment for people with disabilities. In 2012, Lynn managed several bars, including Mustang Harrys in Manhattan, became a partner in Tara Bar and Grill in Yonkers in 2018 and now manages Doyle’s 37 in Manhattan. An avid Mayo GAA and NY Mayo GAA supporter, Lynn continues to be an ambassador for the newly immigrated assisting with work, accommodation and information on J1 visas. Tom “Tommie” Henry was born in Balla, County Mayo in 1956 and came over to the United States Conductor with his brother Mattie in 1972. His father and brother Noel had previously immigrated and his mom followed shortly thereafter. Tommie has been singing and playing drums with Noel Henry’s Irish Showband since his brother, Noel, founded it in 1974. He met his wife, Laurie Irwin Henry, in New York in 1978. They married in 1982 and have resided in Plymouth, Massachusetts for the past 32 years with their two sons, Christopher and Declan. Since Noel passed away in 1995, Tommie has successfully led the band, coordinated the Getaway Weekends and cruises, managed all the bookings, and became involved in many charitable committees and fundraisers. 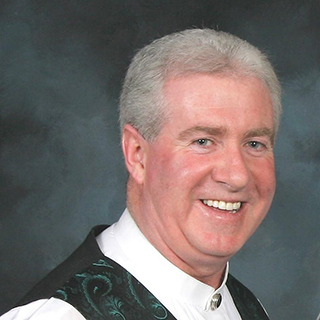 Noel Henry’s Irish Showband has played all over the country, including many years at the Mayo Balls in both New York and Boston, and the Mineola Irish American Club. Tommie also owns his own landscaping company, which services the south shore area of Massachusetts. Tickets are $90 per person or a table of ten for $900. For reservations, please contact Rita Lydon Lenz: 516-221-4834 or Noreen Lydon O’Donoghue: 914-643-1014. The deadline for journal ads is February 28, 2019.